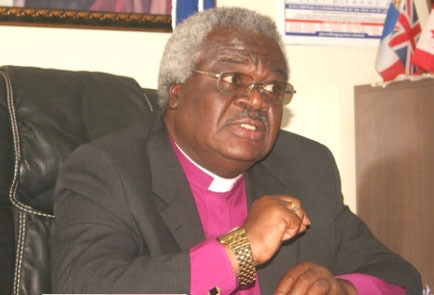 Former public Relations Officer (PRO) of the Presbyterian Church of Ghana, Dr. Emmanuel Osei Acheampong has disclosed that the immediate past Moderator of the church, Prof. Emmanuel Martey indeed took money and a vehicle from some politicians. This however contradicts earlier claims by the respected man of God who claimed otherwise and said he almost unleashed his dogs on the said politicians who came to bribe him. According to him, Prof Martey is throwing dust in the eyes of the public after denied receiving money from the unnamed politicians. Speaking to Kasapa News’ Akwasi Nsiah, the former PRO explained that a leading member of one of the opposition parties presented the money to him (Prof. Emmanuel Martey), indicating that claims he refused the money are false. Prof.Martey addressing press today said he refused to accept 100,000 dollar bribe meant to shut him up from commenting about the NDC. Dr. Acheampong said Prof, Martey’s posture does not befit a man of God and wondered why a man of his calibre will tell such a lie. He revealed that he was sacked when they drew the Prof’s attention to the fact that he was overly dabbling in politics in variance with principles of the office he held. He narrated that the Man of God gave him 50,000 dollars but he rejected it. In July 28, 2013, around 8:15pm, he invited me to the office of one of the leading opposition parties not the ruling government, when I got there he had received the 100,000 dollars and a V8 he is claiming to have rejected. And he gave me 50,000 dollars, I am speaking on authority that he received the money,’ he alleged. He said they were given money to influence their sermons, thereby pursuing the agendas of the party in the church. ‘We were told they will present us with statements and we will read as communique to the church because of our larger number,’ he claimed.